There is a great commotion right now in the movie industry. Sesame Street has filed a lawsuit against an upcoming R-rated Muppet comedy titled The Happytime Murders because of its copyright rights. While fans are pretty concern about this lawsuit, still they want to know what this movie is all about. Currently, The Jim Henson Company has been producing kid-friendly entertainment in the past especially with movies like Labyrinth and The Muppet Movie and their latest one titled The Happytime Murders which is being released by one of their related companies Henson Alternative. The objective of the studio’s sister companies is to create movies for an older viewers. 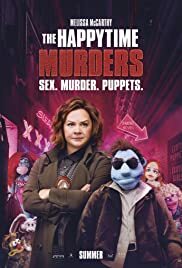 The movie features Melissa McCarthy who plays an investigator who tries to solve murder cases which mainly aimed at the Muppet cast members of a very well known of 80’s movie show called The Happytiem Gang. After connected with her Muppet partner named Phil Philipps (Bill Barretta), the two then start to uncover crime and corruption in order to solve the murder cases. Both companies who are fighting each other for the rights of the character of Muppet and the franchise will soon be over then. The Happytime Murders is expected to come this month and we will see this adult Muppet movie in the big screen and give it a try for your past time.